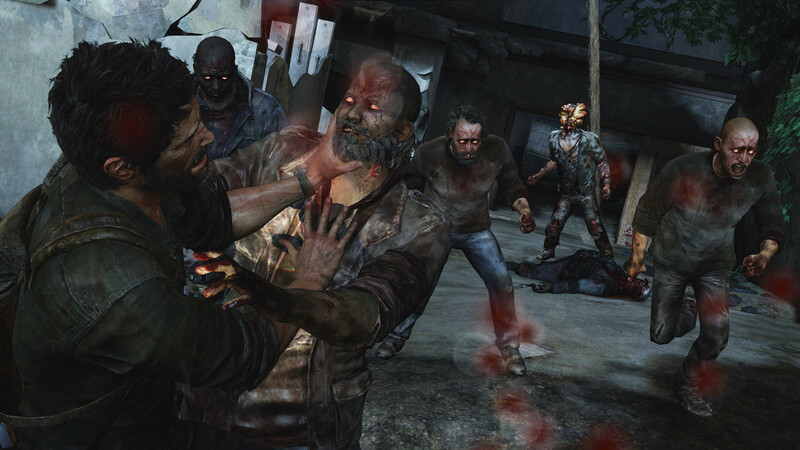 Without a doubt, The Last of Us has been one of the most anxiously awaited gaming titles of 2013, and for good reason. Naughty Dog has built a pretty solid reputation for itself on the Uncharted franchise, a series I am quite fond of personally. Their most recent release, Uncharted 3, was a game I reviewed quite highly. 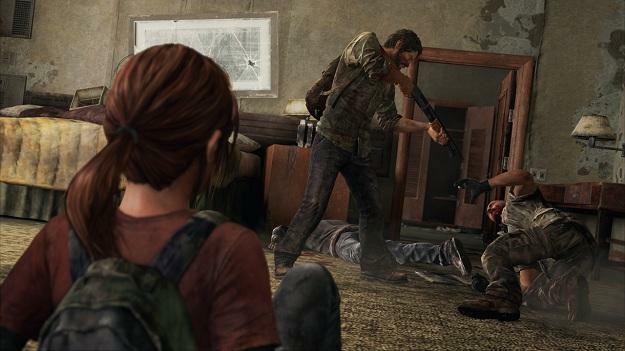 Still, The Last of Us promised to be something quite different. It is still a third party action game, with a focus on stealth and shooting, but the pacing and tone were very different. Drake from Uncharted is a quip-happy, incredibly athletic protagonist. This stands in stark contrast to Joel, who is a much more grim primary character. There are some pretty serious themes dealt with throughout the game - which is to be expected from a post-apocalyptic title. 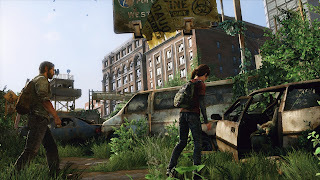 The Last of Us seems to draw a lot of comparisons to Bioshock: Infinite, and on the surface I suppose I can see those. Both titles had a lot of hype and anticipation associated with them up until the release, both have weapons combat and both feature a young girl in a daughter-like role to your often surly protagonist. That being said, the action and many of the themes feel quite different and to my mind the two games are actually both very different from one another. 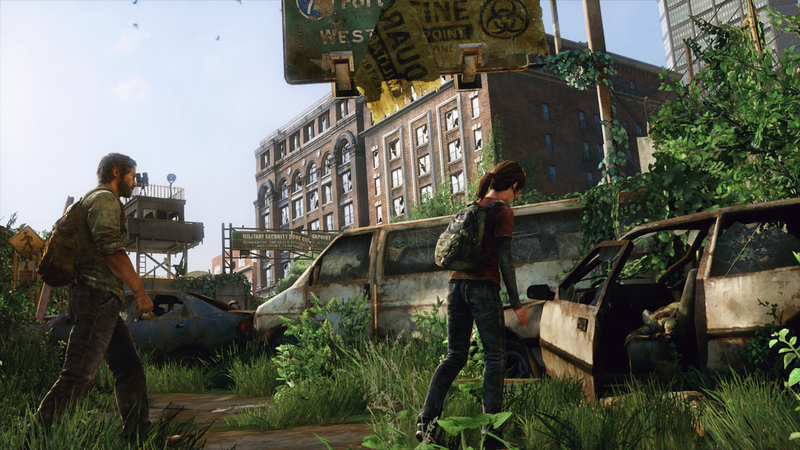 Visually The Last of Us is often astounding. Characters and facial animations are incredibly well animated, but they pale next to the environments. There are dark, dank and watery environments, there are grim, dirty, trash-littered streets and there are still brightly colored natural areas and everything in between that give this game a great deal of visual life. The lighting effects are often excellent, and there are times when your characters are walking through 'spore infested' zones that have a nice, cloudy particle texture. One standout environment from my mind was my time spent crawling through a cloudy, dark, spore-infested university dorm. That entire segment oozed tension, and the visuals had a lot to do with that. Now, there is a slight bait and switch on the graphics when you first start, compared to the majority of the game play. That is not to say the game is not impressive throughout, but when you first start the game and the story is slowly being rolled out, there are some really nice reflective visuals - translucent reflections in dark windows and true reflections in mirrors that accurately track your character's movements. I know effects like that can tax an engine badly, which is why you usually see games use tricks like boarded up windows or shattered mirrors - that way the engine does not have to account for variables such as NPCs and the like. At first it looked like The Last of Us was going to give us that level of visual treat throughout, but it only occurs during the prelude. The usual tricks I described above are back into full effect for the rest of the game. Not a big deal - it would have been a very impressive feat had they managed to pull those kinds of visuals off throughout, however. I will start with the voice acting, which is generally excellent. When the popular Nolan North is only providing a side-character's voice work, you probably have a pretty good cast and that is the case here. Joel is exactly what you would expect from a man who has seen horrible things happen to society, and had to live through the horrible things society then inflicts upon itself. He is grim, surly and much of the time not very likeable - lending comparisons to the often grumpy Booker from Bioshock. That being said, I have no problem with the character of Joel, who often does a lot of morally questionable things - both in the story as you play as well as things alluded to in the character's past. However, given the state of decay that civilization has fallen into it, it is hard to believe someone without a moral gray area surviving as long as Joel has. Joel has a few companions along the way, but none more prominent than Ellie, who is another character that people seem divided on. I think given her circumstances, it is understandable that a fourteen year old girl like her would do rash, even pouty things that have some people feeling she is an insufferable brat - but to me she was a believable character who was voiced convincingly and showed a great deal of growth over the duration of the story. Next up we have the sound effects, and they are handled very well here. Play this title in surround and you can appreciate how it actually benefits you in the game as you hear gunfire, random conversations and more coming from specific, accurate directions. While weapons and melee have a suitable weight to their sound effects, the audio design is a lot more than just added flair. Sometimes the sounds of a monster clicking nearby can be the difference between surviving an encounter or accidentally barreling around the corner into certain death. Last but not least, the music is excellent, matching the mood at the time often perfectly. Sometimes there is almost no music to be had, and you are left trying to navigate a tense area with the sound effect, at other points the score really helps to sell a particular moment. One standout was when Joel and Ellie found a moment's peace and took in a pleasant, surreal scene about two-thirds of the way through the game. I found myself simply sitting there with Joel, leaning against the wall as I took the moment in. Very immersive and satisfying. For a game that has such an amazing audio and visual presentation, it is sometimes disappointing when other technical hiccups break the immersion a bit. Having a companion at your side for most of the game means that there is an AI character generally following your every move. 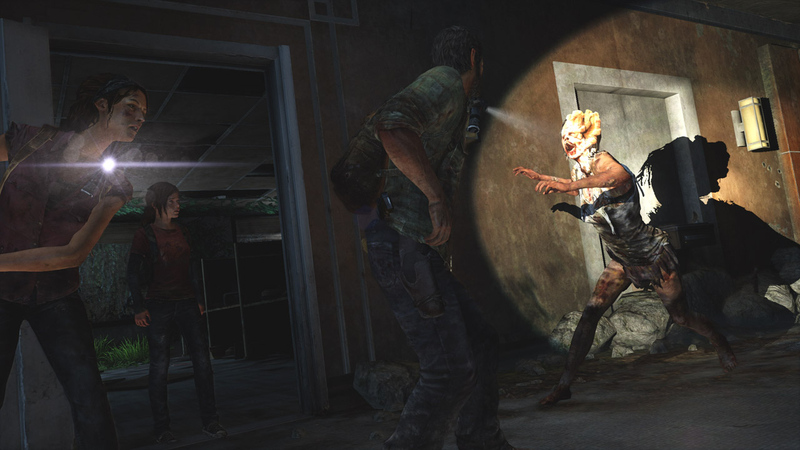 During some of the stealth sequences, your partner may pop up like some sort of a whack-a-mole or be standing out in the open because they have not fully followed Joel's steps to the point where you had him crouch down behind a piece of the environment. This means that your companion is standing around in plain sight, but enemies fail to notice them. I suppose if the choice is to have a companion prove harmless to the gameplay if somewhat visually jarring, as opposed to having them make stealth sequences absolutely impossible, Naught Dog probably made the right choice here, but it is somewhat disappointing all the same. 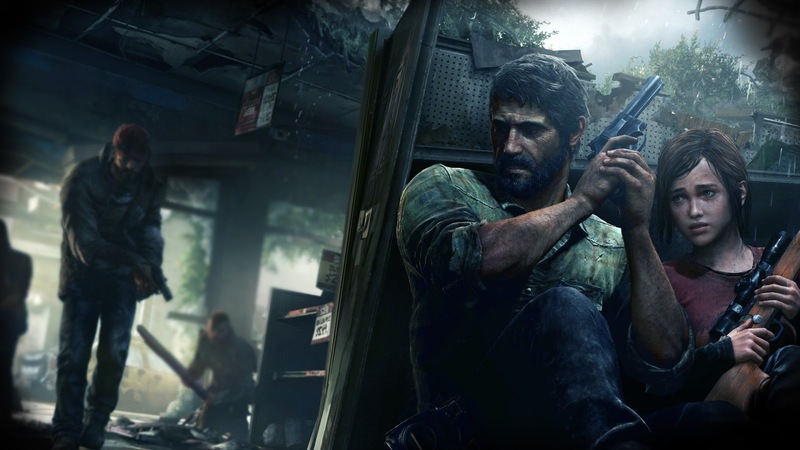 For those familiar with the high wire act that is Nathan Drake in Uncharted, you are in for a bit of a surprise as you take the controls for Joel here in The Last of Us. Joel is considerably more tank-like, his acrobatics pretty limited. You are not going to want to rush into battles without planning accordingly - otherwise you will die and often. I did not run in any technical glitches of my own, but my son had a few, including one where he got stuck in the floor of a building and it would not let him out. He was forced to reload a prior save, and that set him back a good fifteen minutes or so. Not the end of the world, but something worth noting. The above may feel a bit like nitpicking though, but there is a good deal that Naughty Dog got right here as well. Your companion is used to help solve environmental puzzles like boosting them up to a spot Joel cannot reach on his own, or crawling through a vent he is too big to squeeze into or helping to haul a ladder around to scale a wall or serve as a makeshift bridge from one building rooftop to another. 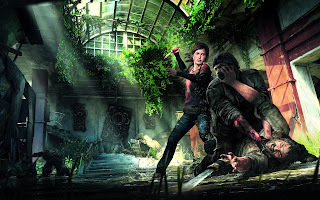 It did feel like Naughty Dog went to the well a few times too many on these environmental puzzles, but they generally felt organic within the confines of the gameplay. Combat is interesting and often varied. You can acquire several weapons throughout the game, all of the upgradable in different ways using scrap parts you find with Joel along the way. There are also ingredients you can pick up and use in different ways to create or modify existing tools. Scissors can be used to make a melee weapon into a lethal one hit weapon when combined with bandages. Bandages and alcohol can be used to create first aid kits. Scissors can be used to work with explosive to create nail bombs and bandages and alcohol an also be used to create molotov cocktails. It is an interesting system that encourages you to look around and dig through your environment because you will need many of these tools to survive. The storyline is heavy, dark stuff a lot of the time, but the setting is one that has always been of major appeal to me. I do not know why, but post-apocalyptic stories tend to resonate really well with me, and while many of the choices Joel makes along the way are questionable, they do not necessarily feel out of place or even wrong either - including the ending which likely has brought about some controversy. The game itself takes about sixteen to eighteen hours to beat, and there is a pretty meaty online mode with what appears to be a solid community at this point. The multiplayer is your usual sort of deathmatch or elimination match gameplay, so it could stand to have some more modes for the sake of variety, but there are some interesting twists along the way. Teams are kept fairly small, and there is an emphasis on effective team play. While you fight, you can acquire scavenged scrap for upgrades and purchases, and find items to make use of the creation system as well. In fact, this is an excellent use of the core game's mechanics, because they are all at work here. With enough time spent playing and unlocking things, you can customize your character's appearance a fair amount in terms of the clothing he or she wears, and there are custom classes with a lot of loudout possibilities as well. Matches are broken up into days, and then roll into weeks. The goal is to build up a colony of survivors. Your performance as a team and an individual get added up into a sort of score after each map, and then that score is translated into supplies for your colony. Do well, and your colony will continue to grow larger. However, the larger a colony is, the more difficult it is to maintain as people can go hungry or sick if you fail to perform well and lack the supplies necessary for survival. New objectives can be added along the way for bonuses (such as taking down three enemies with long range shots, or using melee weapons so many times in a handful of days). There is also a somewhat nifty Facebook tie-in where it pulls data from your friends lists (without actually posting anything on your Facebook page or pestering said friends), so you might seen a familiar name and picture come up as a new member of your colony. It is pretty superficial and cosmetic, but nifty all the same. For some people, I know trophies are of interest. Here, the trophies can be tough to get. There is a new game plus option, which is nice enough if you do want to play it again. Of course, the story was one of the driving forces for me when playing, and having just beaten a story with no variable content, I was not immediately drawn to playing it a second time - I wanted to take a bit of a breather first. My son however, immediately went back into it with a new game plus. There are not a lot of trophies here - with a single playthrough I think I only unlocked four. Some of them, like maxing out Joel's abilities through supplements, or for beating the game on new game plus, require a second round of action. My son and I took turns playing this over about a two and a half day span, each of us beating the game and then sinking several hours into the multiplayer as well. 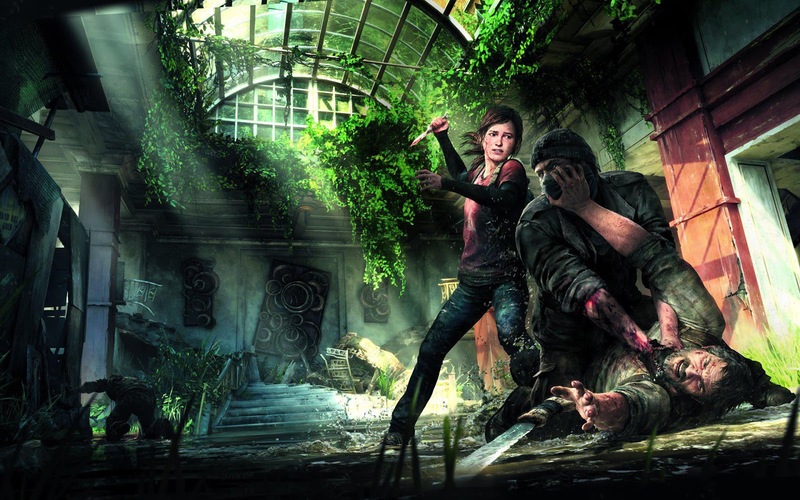 The game's pacing and themes will not be for everyone, and there is a heavy sort of grimness over the entire proceedings that might simply make The Last of Us hard for some people to enjoy. That being said, I think it lived up to, and in some cases (like the multiplayer) exceeded most of my expectations. Now that the year is half-over, I have had a few people ask me about my 'games of the year' so far. 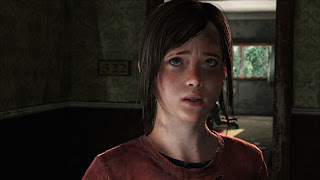 Generally Fire Emblem for the 3DS, and Bioshock: Infinite are ones I mention, but I think The Last of Us has to be part of the conversation now as well.